From Ex Forensis' Larry Daniel: "I have this application that I use and it is awesome. DropBox. DropBox is a cloud based (Internet) application that allows me and my team to share documents and access them virtually from anywhere. I can review and edit these documents on my desktop, my laptop, my iPad, and review them on my Android phone. Talk about convenience. What is so cool about the application is that it also provides automatic online backup of the documents and keeps a revision history so you can “go back” to a previous version of a document. It even keeps deleted documents, just in case you didn’t really mean to delete that oh so important Word document. So why write about this on a digital forensics blog? Applications like Dropbox are the future of distributed file sharing. There are quite a few applications that serve the same or similar purpose such as Google Docs, Windows Live Skydrive and Apple’s Mobile Me. What’s interesting about these applications is the potential to hold discoverable electronic evidence. The basic approach to ESI (Electronically Stored Information) cases is to follow the who, what, where and how of potential evidence. Who are you trying to find out information about, or who owned, modified, deleted or created a document or email. What are you looking for? This part is pretty well defined; Email, Documents, Spreadsheets and so forth. Where might this evidence be stored? This is what is getting more complicated with more storage options gaining ground in the marketplace. How do you get the evidence? In the old days, that was the simplest of questions; either from the computer hard drive or a floppy disk. You would get access to the computer in question and do the evidence collection. These days, the interrogatories for building a discovery motion needs to include the possibility of cloud storage applications like these. Companies should also bear in mind that since these applications sync file to multiple devices, and an employee now has a copy of the files and can access them from their home computer as well as their office computer or company laptop. When you look at obtaining electronic discovery, one of the approaches now must be: Does the custodian of interest have access to or participate in on-line shared storage options beyond SharePoint server or a company file share. If the company is using an on-line backup service in the cloud, will documents be available there that are not on the local computers and servers? The beauty of applications like Dropbox is the audit trail that is automatically created when documents are modified or deleted from Dropbox ..."
Click here to finish reading this valuable article. Upon further consideration, a price drop and HDR for free: "Atlantic Light Works and Reindeer Graphics announce the release of PercepTool 2TM a Photoshop add-on suite that performs High Dynamic Range (HDR), Tone Mapping and Perceptual Effect operations on digital photographs. Compatible with both Windows and Mac platforms in 32- and 64-bit processing, it operates in Photoshop CS4 and CS5 (Photoshop Extended required for 32-bits/channel). PercepTool 2TM works with both B&W and Color images in 8-bits, 16-bits and 32-bits. Completely revised and updated, PercepTool 2TM includes a new interface for the Perceptual Effect routine that now includes Exposure and Contrast adjustments instead of using Photoshop tools. The Perceptual Effect adjustment has been redesigned to operate faster and to protect the highlights. In addition, PercepTool 2TM now includes EqualizerTM, a superior multi-contrast Tone Mapping interface, and FreeHDRTM, a High Dynamic Range operator that combines images without ‘grunge’ effects. Included is a Histogram with both Levels and Ansel Adams Zone System scales. 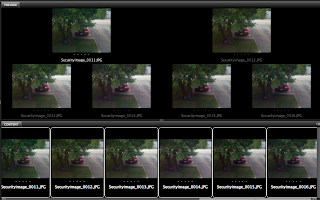 LiveViewTM, the ability to work on the main image itself and not a preview, is unique to PercepTool 2TM. Photographers will find the new HDR and Tone Mapping abilities of PercepTool 2TM especially exciting. FreeHDRTM finds an optimal alignment for images to be blended (with multiple quality settings) that does not suffer from the flaws in Photoshop’s alignment. The blending of the images occurs with accurate color rendition, reduced noise, and attention to the realistic nature of the photograph itself, rather than an interpretation. PercepTool 2TM may be downloaded only from http://www.georgedewolfe.com/perceptool.html. For those who have purchased the original PercepToolTMthe upgrade cost is $75. The full version is $95." It just keeps getting better. This just in: "Atlantic Light Works and Reindeer Graphics announce the release of FreeHDRTM a free Photoshop add-on that performs High Dynamic Range (HDR) alignment and blending on digital photographs. Compatible with both Windows and Mac platforms in 32- and 64-bit processing, it operates in Photoshop CS4 and CS5 (Photoshop Extended required for 32-bits/channel images). 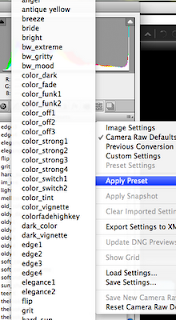 FreeHDRTM works with both B&W and Color images in 8-bit, 16-bit and 32-bit modes. FreeHDRTM, a High Dynamic Range operator, combines images without ‘grunge’ effects. FreeHDRTM finds an optimal alignment for images to be blended (with multiple quality settings) that does not suffer from the flaws in Photoshop’s alignment. The blending of the images occurs with accurate color rendition, minimal noise, reduced ghosting, and attention to the realistic nature of the photograph itself, rather than an interpretation. Compare the color rendering, alignment and blending of FreeHDRTM with Photomatix® and other HDR programs. We think you’ll agree that the results are a notch above the rest…at a price that can’t be beat. 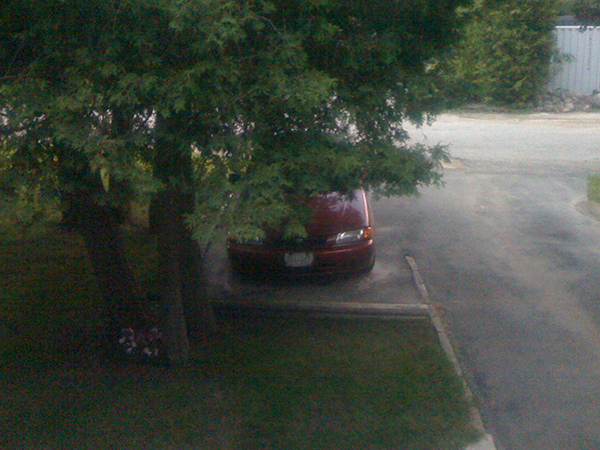 FreeHDRTM may be downloaded FREE by clicking here." "A warning to anyone trying to pass off faked photos as real: Hany Farid is on to you. The Dartmouth College computer scientist is developing digital forensics software that can instantly tell whether an image has been manipulated, and what make and model of camera captured it. It's "exactly like gun ballistics," says Farid, 44. "If Photoshop touches that image, we will know about it." Much as a rifle barrel imprints a unique pattern of grooves on bullets, digital cameras have electronic signatures—minute variations of resolution and image compression in the images they produce. Farid and his students received permission from photo-sharing site Flickr to download millions of images and build a signature database of every one of the 10,000-plus digital camera models ever made. To verify a picture, Farid's system checks it against that database to identify the equipment used. It then looks for any variations in the signature, which would indicate fakery. If the system finds traces of Adobe Photoshop (ADBE), which also leaves a signature (and is the most common image manipulation program), that's a sure sign of picture alteration. Farid plans to sell his software, though he hasn't decided whether to start his own company or partner with Adobe, which is helping to develop the technology. The program may be useful to law enforcement agencies that need unaltered photographs for court evidence, says Stephen A. Saltzburg, a law professor at George Washington University. Newspapers might use it to determine the authenticity of freelance photos. People will inevitably try to outsmart the program, "but we're going to make it pretty hard for them," says Farid. "You're going to have to work. And right now, you don't have to work ..."
I received a question from a reader asking why PercepTool2 is better than Photoshop's built in HDR functionality. Since better is rather subjective, I'll try to answer the question by quoting the creators. "We produced the first practical HDR plugin for Photoshop, Optipix, when the digital revolution was beginning at the turn of the century. HDR Align and BlendTM is a vast improvement on that algorithm and includes a multi-align routine that fixes Photoshop’s inability to align the same thing the same way twice. The alignment routine can run as many as 11 alignments per layer. The default is Normal (6 alignments). 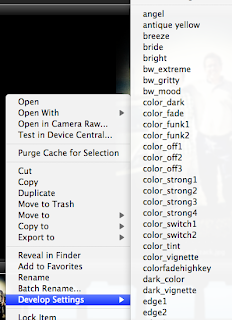 The HDR blending routine is proprietary and gives the best “natural” blend of any HDR software available. 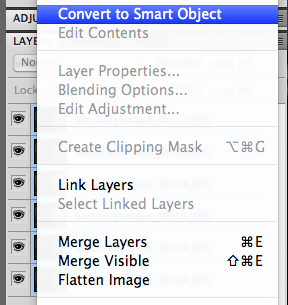 2 to 100 images can be added in Layers, aligned and blended. This blend can, of course, be adjusted with the tone mapping EqualizerTM." "PercepTool 2TM, EqualizerTM, and HDR Align and BlendTM are all dedicated to reproducing a perceptual and emotional image that you first saw and felt in your eye and camera. These tools rely on research from the perceptual processing of the human eye and brain, from Lightness science, from research into the great masters of painting, and from the practice of photography." In my own experience, the HDR functionality in Photoshop is great for creating what I call "modern art masterpieces." The results tend to be "hyper-real." The results from the 3 plug-ins that make up the PerceptTool2 package, properly employed, create realistic views that really do accurately depict the scene (the full tonal range) as viewed at the time - as I perceive it. If our goal is to provide the trier of fact with a true representation of the scene, an accurate representation of pieces of evidence, and so forth, then the PercepTool2 package of plug-ins is one to have in your tool box. Good news. 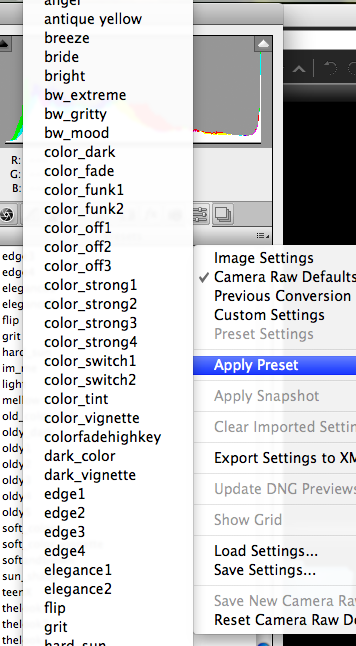 The Forensic Photoshop Configurator Panel has been updated to support Configurator 2 / Photoshop CS5. You can download it from the book's resources page (secure area for book owners only). Merry Christmas. I had some spare time this morning, being the holiday and all, so my able assistant and I went around the ranch looking for tyre and boot marks. We found a few likely candidates and set up our shoot - Fujifilm IS-1, tripod, Whibal card, and etc. 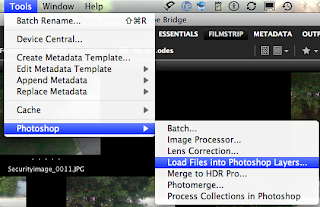 After shooting from 2 stops under - 2 stops over (each scenario) I loaded the files into Bridge - then into Photoshop CS5 as Layers. Using both the HDR/Align and Equalizer functions in PercepTool2 ... and be prepared to wait a while, this is very CPU intensive stuff (my Mac's almost 3 years old now) ... I was quite satisfied with the initial results. Right out of the camera, the RAW file is flat and uninteresting. Using PercepTool2, I was able to really bring out the details of the tread whilst adding a bit of punch. The included instructions are very easy to understand and follow (RTFM). The presets in Equalizer make perfect sense. My initial impressions of this inexpensive plug-in are that evidence and forensic photographers are going to want a copy. I wanted to pass along a quote from a noted image scientist on HDR's role in forensic imaging. "HDR is a big deal. Too many people think it is an "exotic" kind of imaging, but in reality what we're trying to do is suppress large dynamic range while emphasizing details in a believable manner. With forensics, the limitation on believability isn't quite as important (we need to show that something is there, not necessarily that it looks nice, too.)" I recognise that HDR is a big deal. That's why I'm excited about PerceptTool2, both conceptually and in practice. I think it will push forensic photographers and analysts towards thinking of mastery - towards getting as much detail out of a scene as possible and presenting it in such a way that it will positively effect the telling of the story. I'm excited about using PercepTool2 on latent prints and shoe marks. In any experiment, you start with a null hypothesis and an alternative hypothesis. 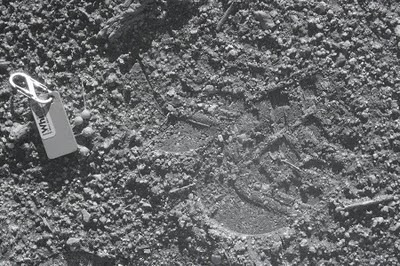 In this case, the null would be that PercepTool2 will not dramatically clarify a latent print and/or shoe mark image. The alternative will thus be that PercepTool2 will dramatically clarify a latent print and/or shoe mark image. I think we'll find that PercepTool2's work on edge enhancements, framework, and tonal articulation will be amazing. Am I biassed? No - just excited. In continuing to set the stage for my review of the new PercepTool2, and realising that many don't yet have George DeWolfe's Book, B&W Printing, here I'll finish presenting some of George's glossary terms. Remember, George notes that many of the words that he uses have additional meanings in other contexts, but are used here as they relate to the science of lightness perception. I'll present the basic information. Readers are encouraged to get George's book in order to dive into the details. Scale normalization rule: the perceived range of grays within a framework shifts to a 30:1 range (in brightness) from highlight to shadow relative to the actual physical range given the framework. Size: the greater the size of a local framework, the more important it is in the image. Value: refers to where a black, white, or gray tone lies along a light to dark continuum. Visual perception: the process of acquiring, interpreting, selecting, and organizing what we see. To view poster, click here. Anyone wishing to remain anonymous may call Crimestoppers at 800-222-TIPS (800-222-8477). Tipsters may contact Crimestoppers by texting the number 274637 (C-R-I-M-E-S on most keypads) with a cell phone. All text messages should begin with the letters “LAPD.” Tipsters may also go to LAPDOnline.org, click on "webtips" and follow the prompts. In continuing to set the stage for my review of the new PercepTool2, and realising that many don't yet have George DeWolfe's Book, B&W Printing, I'm going to present some of George's glossary terms in this and the next few posts. George notes that many of the words that he uses have additional meanings in other contexts, but are used here as they relate to the science of lightness perception. I'll present the basic information. Readers are encouraged to get George's book in order to dive into the details. Presence: the quality of good brightness constancy and high articulation of black/white values in an image. Proximal stimulus: the image received by the retina in the human eye. Reflectance: a measure of the percentage of incident light reflected from a surface. Reflectance edge: an actual edge in an image that is revealed by a change in reflectance. A story that popped up on Government Video's web site begs an important question: "The installation of a mid-sized internet-protocol (IP) video surveillance system now costs less than installing a corresponding analog system, says report by a Swedish university research group. The independent study, conducted by Lusax, a research group at Lund University in Sweden, compiled data comparing the costs of installing analog video surveillance systems with the costs of installing IP video surveillance systems. Lusax compared the cost of installing analog systems with IP systems by surveying integrators who were actively selling and installing both analog and IP-based systems. The integrators were asked to provide bids on installing both types of systems at a retail store with 14, 25 and 40 cameras, and for all three scenarios the IP-based system returned a lower total cost than the analog system. Both integrators and installers have learned to benefit from using standard, off-the-shelf products for recording and storage, which has a positive effect on the total system cost, Kalling said. A similar study conducted in 2007 showed that an IP-based surveillance system was more cost-efficient in installations, but only when the number of cameras exceeded 32. “We are continuing to see the increasing benefits that modern IP technology brings to its customers, including scalability, quality and total cost of ownership,” Fredrik Nilsson, Axis Communications Inc.’s general manager, said in a written statement. “As IP adoption grows, cost-effectiveness needs to grow as well. This study validates the efforts Axis has made to deliver products that support that belief. We expect to see this cost advantage increase in the future as IP innovation continues, especially with the rise of hosted solutions,” said Nilsson, whose company paid for at least part of the study ..."
Did you see it? My question is, why is quality not factored in the equation? How about not driving the market based on cost entirely. Why not focus on the purpose of CCTV, then fit the installation to that purpose. Usually, if you get a $400 DVR - it's worth less than that when the images it produces are worthless in court. The same goes for IP based systems. I've been less than impressed with the quality that comes out of them. From Adobe's John Nack: "In addition to containing the fixes that were part of the recent 12.0.2 update, the 12.0.3 update for Photoshop CS5 for Windows fixes a tooltip problem that was introduced by 12.0.2, as well as a security vulnerability. 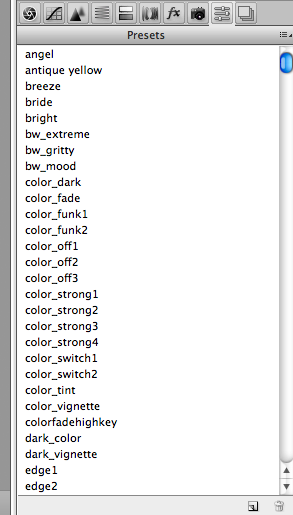 Photoshop CS5 for Mac doesn’t have these problems, so there’s no equivalent update for Mac." Illuminance: also called illumination, illuminance is the total perceived amount of light falling on a surface (incident light). Illuminance edge: an actual edge in an image that is revealed by a change in illumination. Intrinsic image: reflectance images and illuminance images - together these two types make up the luminance image seen by the retina of the eye and the camera sensor. Luminance: also called intensity - luminance is the combined emission of illuminance (incident light) and reflectance (reflected light) from diffuse surfaces. Luminosity: also called brightness, luminosity is the subjective quality of luminance as processed and perceived by the visual cortex of the brain. Percept: an individual's visual experience of something external to themselves. Fundamental error: the fundamental error in lightness perception is that objects on dark backgrounds appear lighter and objects on light backgrounds appear darker. Gamut compression: a perceptual compression of the grayscale that occurs when the range of luminance values is greater than a 1:30 highlight to shadow ratio. Gamut expansion: a perceptual broadening of the grayscale that occurs when the range of luminance values within a framework is greater than a 1:30 highlight to shadow ratio. Gestalt principles of visual organization: proximity, similarity, closure, continuation, and belongingness. Grouping: refers to the grouping of certain visual attributes such as tonal values, edges, depth boundaries, corners, and the Gestalt principles of visual organization in a local framework. Constancy: refers to brightness constancy. Depth cues: edge patterns used by the brain to detect depth. Distal stimulus: the physical environment or object photographed. Framework: a basic structure used to define and group visual elements such as highlights, shadows, midtones, depth indicators, and edges. In setting the stage for my review of the new PercepTool2, and realising that many don't yet have George DeWolfe's Book, B&W Printing, I'm going to present some of George's glossary terms in this and the next few posts. Anchoring: anchoring takes the highest relative luminance in a framework and maps it to white. Articulation: refers to the number of tonal values within a framework. Brightness: also called luminosity, brightness refers to perceived luminance. Contrast: is defined in lightness perception science as a luminance ratio. 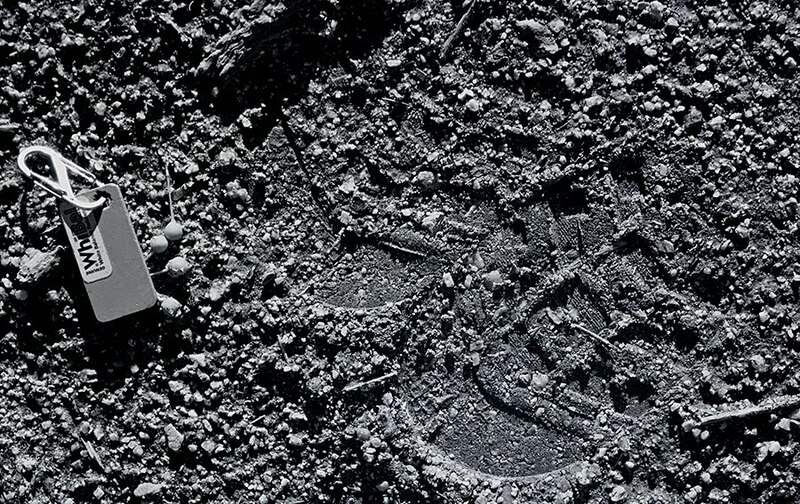 From Evidence Magazine: "Since the very beginning, criminals have left their footmarks at the scene of the crime. It is an undeniable law of gravity that even the most intelligent criminal mind cannot circumvent. Criminals may easily don latex gloves but nary a one will commit their crimes wearing shoe covers. These impressions are an unclaimed bounty waiting to be discovered, and all that stands in our way is the proper tools and the knowledge of their application. 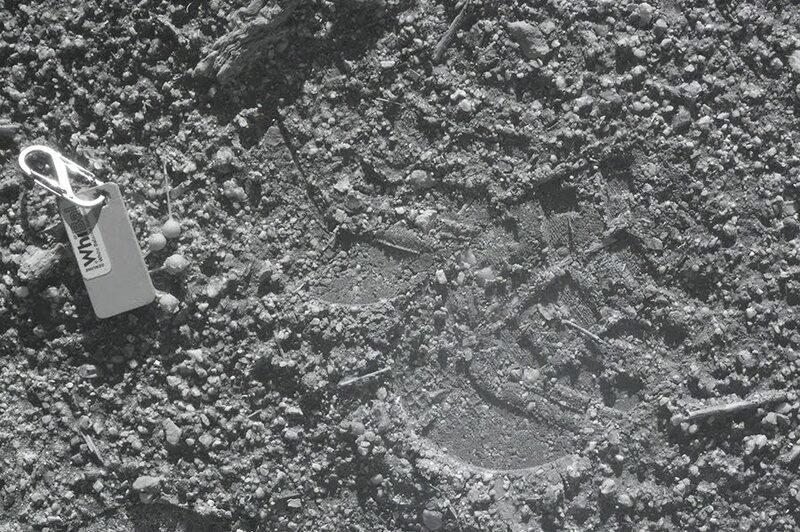 Footwear impressions represent the ultimate enigma in forensic science. They are among the most prevalent types of evidence to be found at crime scenes, but they are simultaneously the least sought-after clues. Over the years, a number of myths regarding footwear evidence have permeated our lexicon and drained our institutional knowledge of effective processing techniques. Police officers and criminalists alike are disadvantaged by this condition, resulting in valuable evidence going unnoticed. Fortunately, there is a simple solution and the learning curve is slight. 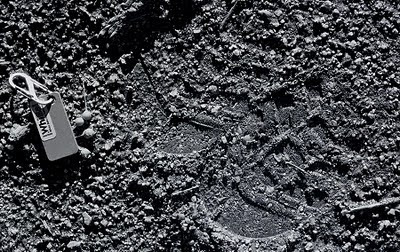 By understanding the nature of footwear impressions, we can better understand the best practices for recovering them. Footwear impressions can tell us about both the criminal and the crime. We may be able to determine the make and style of shoe, and even the identity of the shoe to the exclusion of all others in the world. We can even use these impressions to rule out certain shoes and narrow the suspect pool. Equally important is our ability to use footwear to tell us how the criminals moved through the scene. Did they climb through a window or boot open a locked door? Did they walk away from the scene or run? Did they enter a particular room or leave it untouched? All of these questions may be answered—but only if we discover the impressions ..."
DFI News Digital Forensic Investigator® and TheTrainingCo.,LLC announced today that in conjunction with partnering to produce the 7th annual “Techno Forensics Conference,” the 2011 conference will debut a track specifically devoted to Forensics industry professionals with highlighted focus on photo/video forensics and crime scene investigation and evidence collection. Joining together the Digital Forensic and Forensic communities reflects the crossover apparent today within a wide range of forensic and digital disciplines. This annual event brings together key stakeholders from industry, academia and government in an effort to strengthen this important technology, research, and communication bridge. The “Techno Forensics Conference” will be held on October 31 and November 1, 2011 at the Myrtle Beach Convention Center located at 2101 North Oak Street, Myrtle Beach, SC. The conference will highlight a series of track presentations, live demonstrations, and industry experts. "Behind all the inventions, techniques, and movements in painting and photography lies a fundamental truth about the inherent degree of visual perception involved in each: What the painter represents on canvas is a representation of what is visually perceived, while what the photographer represents in an unaltered image is only what is actually seen, not what it visually perceived. What is seen by the retina of your eye or the sensor of your digital camera represents a quantity of light as it falls on a subject or scene. This quantity of light is known as luminance. Luminance combines both the surface reflective nature of the scene being photographed as well as the illumination falling on the scene. What is visually perceived (and painted by a painter) is a many faceted neural operation that separates reflection and illumination and combines them with edge definition, depth, form, and wholeness—a process that, for the artist, is inherently more “real” than what we take for realism in a photograph." Normally, I don't do press releases. This, however, will be a rare exception. I'm a fan of the people involved and look forward to taking this new tool for a spin. As usual, I'll do a review of it when I'm finished punishing it. Atlantic Light Works and Reindeer Graphics announce the release of PercepTool 2.0.2TM, a Photoshop add-on suite that performs High Dynamic Range (HDR), Tone Mapping and Perceptual Effect operations on digital photographs. Compatible with both Windows and Mac platforms in 32- and 64-bit processing, it operates in Photoshop CS4 and CS5 (Photoshop Extended required for 32-bits/channel). PercepTool 2.0.2TM works with both B&W and Color images in 8-bits, 16-bits and 32-bits. Completely revised and updated, PercepTool 2.0.2TM includes a new interface for the Perceptual Effect routine that now includes Exposure and Contrast adjustments instead of using Photoshop tools. The Perceptual Effect adjustment has been redesigned to operate faster and to protect the highlights. In addition, PercepTool 2.0.2TM now includes EqualizerTM, a superior multi-contrast Tone Mapping interface, and HDR Align and BlendTM, a High Dynamic Range operator that combines images without “grunge” effects. Included is a Histogram with both Levels and Ansel Adams Zone System scales. LiveViewTM, the ability to work on the image itself and not a preview, is unique to PercepTool 2.0.2TM. 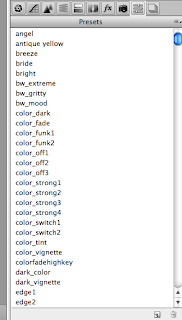 Photographers will find the new HDR and Tone Mapping abilities of PercepTool 2.0.2TM especially exciting. HDR Align and BlendTM finds an optimal alignment for images to be blended (with multiple quality settings) that does not suffer from the flaws in Photoshop’s alignment. The blending of the images occurs with accurate color rendition, reduced noise, and attention to the realistic nature of the photograph itself, rather than an interpretation. PercepTool 2.0.2TM may be downloaded only by clicking here. For those who have purchased the original PercepToolTM the upgrade cost is $75. The full version is $150. From the UK Register: "Cryptographers have cracked software used to verify that images taken with Canon cameras haven't been altered. Russian password-cracking company ElcomSoft said on Tuesday that it's able to extract the original signing key from the Canon Original Data Security Kit and use it to validate fake photos. Canon has billed the service as a way to verify the originality of an image and to confirm that global positioning coordinates, data, time, and other metadata hasn't been changed. The Russian company mocked the system by posting doctored photos authenticated by the system purporting to show Russian cosmonauts landing on the moon ahead of US astronauts and Joseph Stalin brandishing an iPhone. According to ElcomSoft, the verification kit embeds cryptographic data into every image taken with a compatible Canon camera that's supposed to verify the picture's authenticity and originality. The kit's demise joins a long list of other cracks by ElcomSoft that extract everything from iPhone 4 passwords to Wi-Fi encryption keys." From the Toronto Star: "Toronto Police Chief Bill Blair is lashing out at the Special Investigations Unit for saying excessive force was probably used by officers in two cases during G20 protests. The two cases are among six investigated by the police watchdog, which then decided not to pursue charges because the officers in question could not be identified. At the centre of Blair’s grievances, a YouTube video the SIU used as corroborating evidence of excessive force against a civilian. Blair said the video had been “tampered with.” He said the tape had been “forensically examined” over the weekend and that it was edited in a way that offered no explanation for why force was used ..."
"Blair questioned the validity of the video. “We’re asking why the SIU would use a video posted on YouTube without checking it independently?” said police spokesman Mark Pugash. From Adobe.com. "And [courtroom presentations] will never be the same. With Acrobat X Suite made available earlier this month, [LE] professionals can now begin to bring their ideas to life and deliver breakthrough communications. What’s in Acrobat X Suite? Only five of the most powerful communications tools available today: Acrobat X Pro, Photoshop CS5, Captivate 7, Presenter 7 and LiveCycle Designer ES. With these tools you can create rich interactive media, edit and improve digital images, and deliver polished PDF communications. Here are just a few things you can do with Acrobat X Suite that will amp up your otherwise mundane presentations. Create presentations that talk. You can transform static PowerPoint slides into compelling, self-running presentations with Adobe Presenter 7. With just a few clicks, you can add narration, videos, and interactivity to make your business presentations look — and sound — better than ever.
" "PDF Portfolio assembly. We all know how effective PDF Portfolios are. Now it’s easier than ever to quickly assemble a wide range of file types — including audio, video, and rich media content — in a polished, organized PDF Portfolio in just three simple steps using the new PDF Portfolio Wizard. That’s just the beginning. Easy video insertion and screen recording, content aware fill, enhanced HDR imaging, PDF Portfolio customization, security are just a few more of the Suite’s features. So check out the free trial here and see how you can have your [jury] on the edge of their seats at your next [trial]. And you’ll see that life is indeed suite." Click here for information on a new line of travel clothing. "More and more, editors are working in studios that may be far away from their clients. Be it cross town or half way around the world, we’ve all had a need for remote approval of our finished video sequences. Remote approval has always been a pretty painful process of uploading and downloading compressed files with a lot of e-mails flying back and forth. Not very efficient, is it? I can tell you from personal experience, it isn’t. 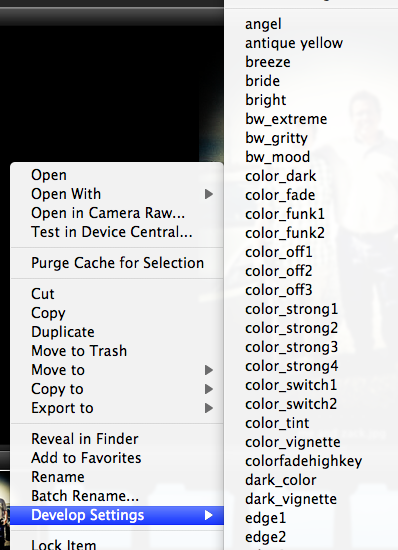 Recently, a killer new feature sneaked into Premiere Pro CS5 (5.0.2) called CS Review. CS Review in Premiere Pro is the perfect solution for the problem I’ve just described, remote approval of your work. CS Review is one of a number “services” in the CS Live feature that are integrated into certain Adobe CS5 applications. This blog post aims to get you up and running with CS Review in Premiere Pro quickly and give you tips and resources on how to use this cool new feature. CS Review has two major components: the online Web Client (located at acrobat.com) and the Review Panel in Premiere Pro. After you’ve finished editing your sequence, you’ll create your Review using the Review Panel. You’ll encode your movie with Adobe Media Encoder and then send a link to the Review for your client. On the web client will be a web page with a movie file is embedded into it and a side panel for comments. Your client opens the link, views the footage and then makes comments in different places in the movie. After your client completes making comments, they send an approval message back to you. Back in Premiere Pro, you’ll be able to see the results right in the Review Panel with comments showing each place in the movie that needs a change. Click on a comment and the CTI snaps to the exact location of your comment, ready for you to make that change. Pretty dang nifty. Here is a series of links to an outstanding explanation of how sandboxing works in Adobe Reader. From Adobe: "Since we first announced the development of a sandbox for Adobe Reader on July 20, 2010, there has been a tremendous level of interest in the sandboxing topic — and an equal level of anticipation for Adobe Reader X. Over the last few months, the Adobe Reader engineering team together with the Adobe Secure Software Engineering Team, partners in the software development community such as the Microsoft Office security team and the Chrome team at Google, as well as customers, third-party consultancies in the security community, and other external stakeholders were hard at work to help ensure the sandbox implementation was as robust as possible. Today, all of the hard work has come to fruition, and we are happy to announce that Adobe Reader X (with Protected Mode, aka sandboxing, on Windows) is now available! To download the new version of Adobe Reader, visit www.adobe.com/reader. Adobe’s product security initiatives are focused on reducing both the frequency and the impact of security vulnerabilities. Adobe Reader Protected Mode represents an exciting new advancement in mitigating the impact of attempted attacks. While sandboxing is not a security silver bullet, it provides a strong additional level of defense against attacks. Even if exploitable security vulnerabilities are found by an attacker, Adobe Reader Protected Mode will help prevent the attacker from writing files or installing malware on potential victims’ computers." See for yourself what some of the best digital artists’ work looks like without the software. Then with the touch of your finger The World Without Photoshop is transformed and you can see and hear the imaginations of these artists come to life in their work. Pinch and zoom into over 48 works by artists, illustrators, designers, and photographers and get their insights into how twenty years of Photoshop innovation have changed their world. Bonus content includes an interactive timeline of 20 years of Photoshop features, Russell Preston Brown’s Photoshop ODDyssey presentation, more." From Government Video: "Capitol Hill staffers of Democratic members of the U.S. Senate and House of Representatives are hopeful that Congress will act on two bills affecting government broadcasts and recording in a “lame duck” session after the November elections. The latest bills were introduced in late September, and were immediately referred to committees, with at least one Senate proposal receiving swift action. On Sept. 28, 2010, the proposed “Government Performance and Results Modernization Act” (S. 3853) was introduced into the Senate by Sens. Tom Carper, D-Del. ; Mark Warner, D-Va.; and Daniel Akaka, D-Hawaii. The proposed requires federal agencies to post performance data on a single public website on a quarterly, rather than a yearly, schedule. S. 3853 was referred to the Senate Homeland Security & Government Affairs Committee, and on Sept. 29, the committee approved the proposed legislation and offered it as an amendment to a House version of the bill, HR 2141, which proves Congress can get work accomplished when it wants to. The fast track is not over for this bill, staffers close to Carper are confident Congress will act on it during a lame duck session, and that bill is not alone. On Sept. 29, 2010, the proposed “Effective Law Enforcement Through Transparent Interrogations Act” (HR 6245) was introduced in the House by Rep. Henry Johnson, D-Ga., and the bill was referred to the House Judiciary Committee. That particular bill seeks to require all federal police agencies record every suspect interrogation or forfeit the statements a suspect said during questioning. From the NY Times: The New York Police Department has begun photographing the irises of people who are arrested in an effort to prevent escapes as suspects move through the court system, a police official said Monday. With the new system, the authorities are using a hand-held scanning device that can check a prisoner’s identity in seconds when the suspect is presented in court, said Paul J. Browne, the department’s chief spokesman. Officials began photographing the irises of suspects arrested for any reason on Monday at Manhattan Central Booking and expect to expand the program to all five boroughs by early December, Mr. Browne said. The department has been working on the program for months, Mr. Browne said. But the effort caught many in the city’s legal circles by surprise as news of it began trickling out late last week. It is raising concerns among civil libertarians and privacy advocates, who say the authorities’ cataloging of the new data could put innocent people under permanent suspicion. Steven Banks, attorney in chief of the Legal Aid Society, said his office learned about the program on Friday in a phone call from the mayor’s criminal justice coordinator. Mr. Browne said a legal review by the department had concluded that legislative authorization was not necessary. I know that the posts have been a bit slow in coming. The demands of doubling up on classes in an already accelerated PhD program often keep me from blogging. I'll be putting a bunch of stuff up that I've been saving soon. In the meantime, for those that are going to the LEVA Conference this week, I'll see you there. Learn the art of producing accurate documentation of a crime scene, accident or other types of investigations with this online program in forensic photography. The field of forensic photography is expanding as the need for professionals with the technical ability to provide precise documentation to courts and other agencies grows. Forensic photography has become an integral part of not only crime scenes but accidents, disasters, engineering failures, product liability and child protection—virtually all events and situations requiring documentation. Learn from a nationally recognized expert in the field of forensic photography. Gain insight into the principles of digital photography. This online program is designed for law enforcement officers, investigators, medical personnel, government officials involved in disaster investigations and documentation, private detectives, legal and paralegal personnel, engineers and technicians, and anyone interested in gathering and/or documenting data for legal and/or scientific purposes. 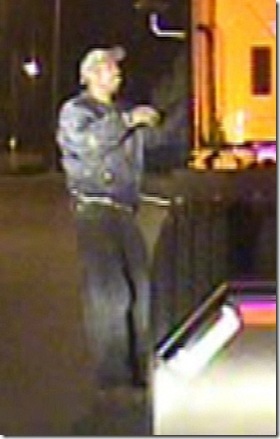 Riverside, Ca., police have released a photo of the man suspected of fatally shooting an officer. Officer Ryan Bonaminio, 27, was killed Sunday night by an unidentified man who was driving a stolen big-rig cab who was believed to be involved in an earlier hit-and-run accident. The gunman, who remains at large, is described as a black male in his mid-30s to 40s, 6-1 or 6-2, with a slender build and possible facial hair, wearing dark clothing and a light-colored baseball cap. He is armed with a handgun, police said. “We’re putting out the photo in hopes that somebody would see the suspect and do the right thing,” said Police Chief Sergio Diaz. The incident began when police received a call about a hit-and-run accident at the 60 Freeway and Market Street about 9:45 p.m., Brennan said. Bonaminio was on routine patrol when he tried to stop the truck to question the driver about the incident, police said. The trucker failed to stop despite the patrol car's flashing lights and siren, police said. The trucker eventually pulled over in front of nearby Fairmount Park. He got out of the vehicle and ran, with Bonaminio running after him, police said. When other officers arrived at the scene, they found Bonaminio on the ground with a gunshot injury, police said. He was taken to Riverside Hospital, where he died of his injuries. The photo of the man was taken by a video camera inside the officer’s car, said Riverside Police Chief Sergio Diaz. The picture was taken after the man shot the officer and as he was getting back into the cab to return the vehicle to the rental yard where it was stolen, Diaz said. Adobe Audition for Mac - Public Beta! Adobe announced that Adobe Audition for the Mac is now available for public beta (you can see the press release here). "We encourage you to give it a try and provide us with feedback. Audition will be shipped on both Windows and Mac OS when the time comes, but given that Mac OS is a new platform for Audition it is important we gather as much feedback and testing as possible in order to make this is a great product for all users. Visit the Adobe Audition Labs page for download information and more details: http://www.adobe.com/go/audition_labs." Adobe announced that Adobe Audition for the Mac is now available for public beta (you can see the press release here). We encourage you to give it a try and provide us with feedback. Audition will be shipped on both Windows and Mac OS when the time comes, but given that Mac OS is a new platform for Audition it is important we gather as much feedback and testing as possible in order to make this is a great product for all users. Visit the Adobe Audition Labs page for download information and more details: http://www.adobe.com/go/audition_labs. “On CCTV 300 times a day.” Rubbish. And here’s why. From Lambert & Associates: "I was prompted to write this today owing to a TV news report that stated each of us is likely “caught” on camera “330 times a day”. What?! First, a subsidiary point in this outrage is that when we’re viewed by a CCTV camera we shouldn’t feel “caught”. Why the negative wording, eh, Mr. TV Reporter? Are you “caught” when a bobby-on-the-beat sees you walking along in accordance with the law of the land? No. So why say that about CCTV? Sensationalist agenda from the mass media? Hmm. Anyway, on to the main point of this blog post. I couldn’t help but notice the ubiquitous urban myth that each of us is view by 300 CCTV cameras per day in the UK has been inflated in this tv report to 330. Where did the additional 30 times a day spring from? I imagine someone decided that the figure must have gone up since it was originally ‘calculated’ and that 10% seems like a reasonable wild stab in the dark to a journalist looking to advance their career with breaking news, eh what? Tosh. So where did the 300 figure come from in the first place? Can it be relied upon as the truth of the matter? The media certainly trot it out as ‘fact’ at every opportunity, and we know how trustworthy they are This was addressed recently in respected magazine Wired in ‘A Sharp Focus on CCTV’ by Heather Brooke. She wrote that Simon Davies of Privacy International walked London from Blackfriars to Bond Street in the earlier 1990′s and counted cameras before multiplying this up. How on earth can that represent the whole of the UK? It’s laughable, so let’s dismiss that ..."
In CCTV where, disappointingly, end-users’ technical advice can come from an ex-policemen who doesn’t really know a pixel from a pixie or from a salesman who thinks “codecs” is spelled “codex” (because he once read The Da Vinci Code), we often see regular CCTV images being inappropriately stretched across widescreen monitors. Please, no. Look at it, then think about it. 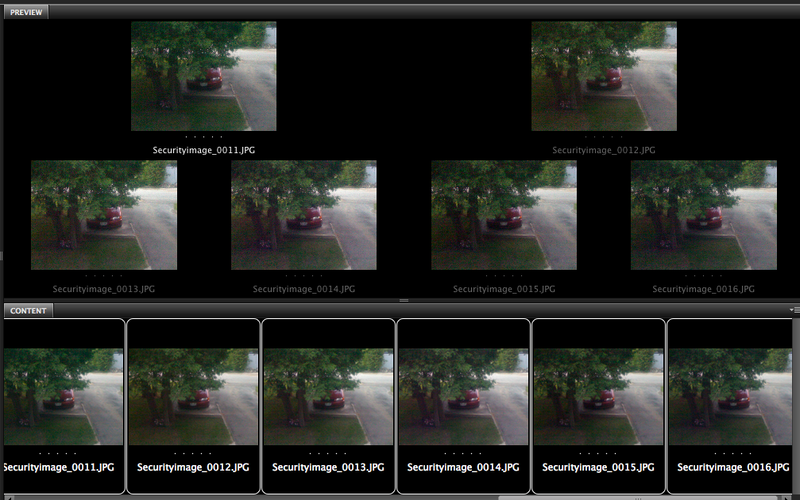 Take the normal 4:3 CCTV picture and stretch it over a typical 16:9 LCD and you end up with a sideways distortion of 33%. That’s a whole 1/3!" Click here to finish reading part 1. Click here for part 2. Click here for part 3. We've just announced another date for the Basic Forensic Photoshop class in the LA area. December 10, 2010 will be the next classroom session at LA CLEAR. Click here for more details.